Do you need more geographical informations? Here it is. 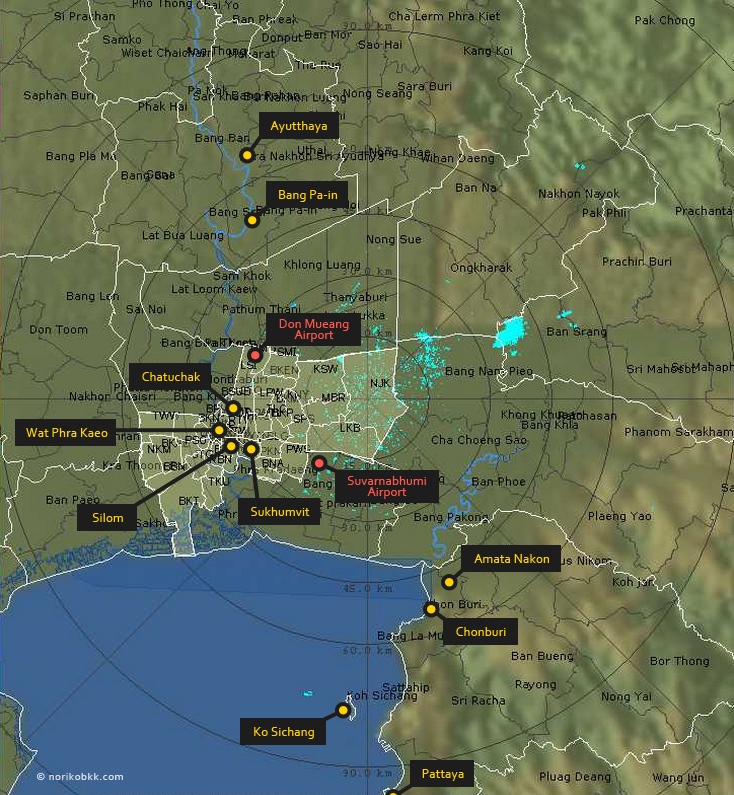 This page displays the real-time rain radar provided by The Department of Drainage & Sewerage. 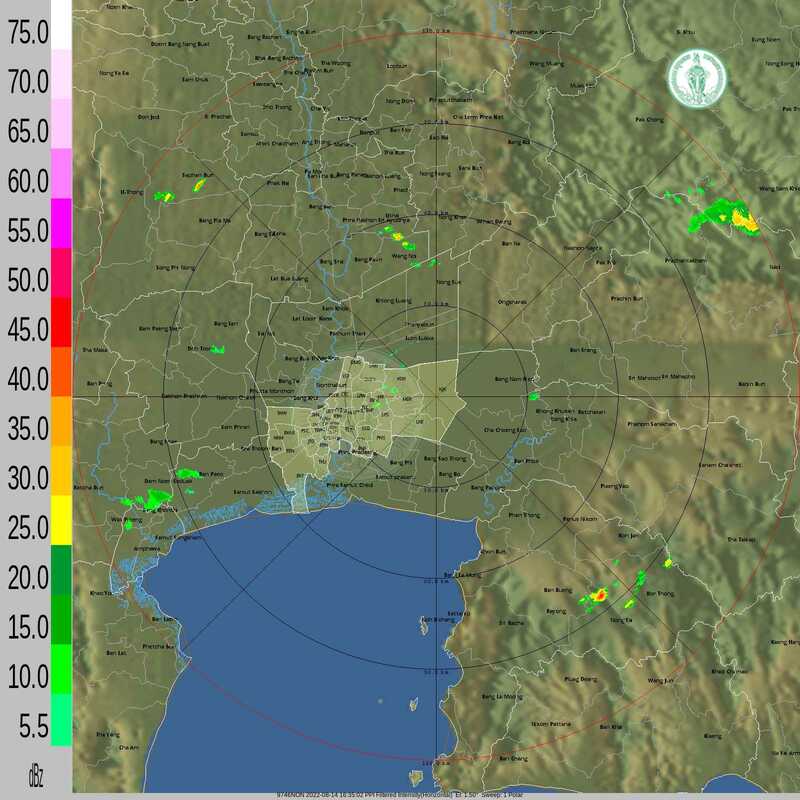 The radar image is updated every 5 minutes. But you need to refresh the page to be up to date. In case that the image is not displayed correctly, there is a possibility of a network communication error or a system error. Please try again later. 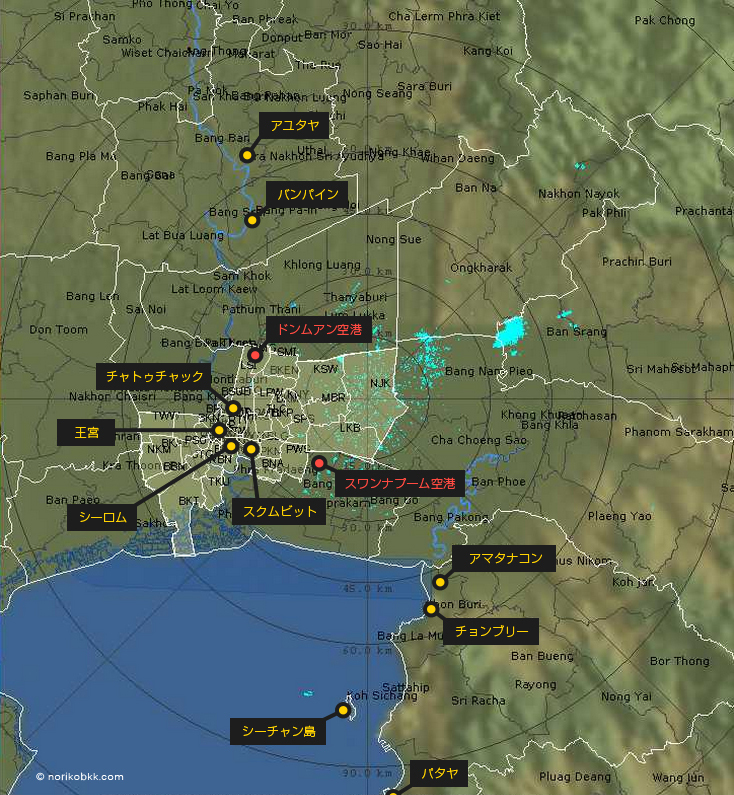 The yellow colored area is Bangkok. For any kind of trouble caused by the use of the information that has been displayed on this page, Admin can not take any responsibility. For a inquiry about the information that the radar displays, please contact directly to The Department of Drainage & Sewerage. For other inquiries, please contact to Admin's Facebook. © 2015 norikobkk.com All rights reserved.